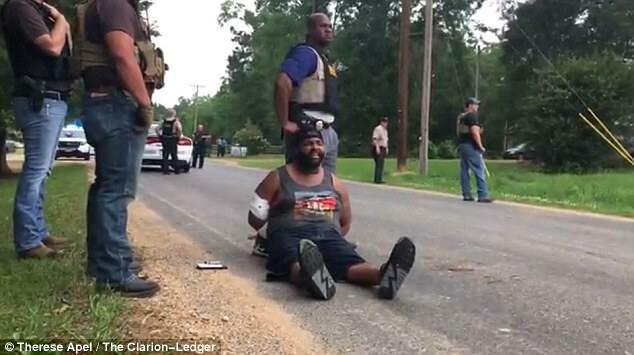 Authorities in Mississippi say a suspect is in custody after eight people were killed in a shooting, including a sheriff's deputy, after an apparent domestic argument over children. 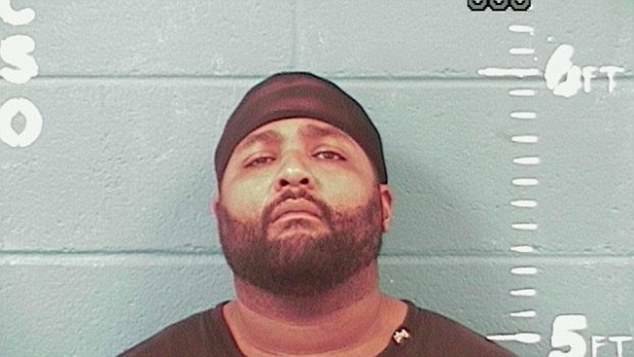 Lincoln County Sheriff Steve Rushing said the suspect is Willie Cory Godbolt, aged 35. He was captured Sunday morning shortly before 7am at Super Jack's at East Lincoln Road and Hwy. 84, Rushing said. 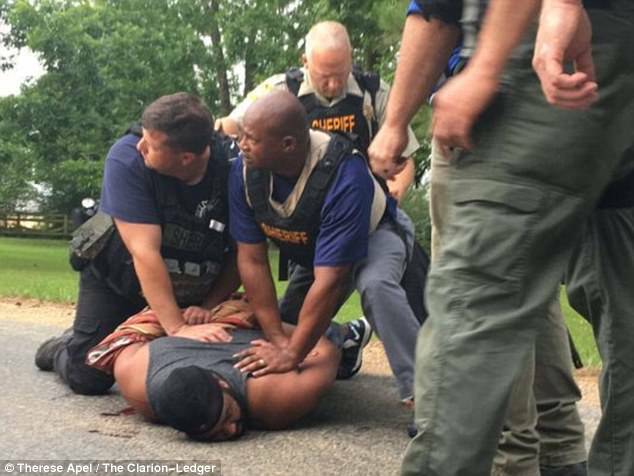 While sitting on the ground in handcuffs surrounded by law enforcement officers, Godbolt told the Clarion-Ledger of his intentions. He said he was talking with his wife and members of her family when someone called authorities. 'I was having a conversation with her stepdaddy and her mama and her, my wife, about me taking my children home,' Godbolt told the newspaper. 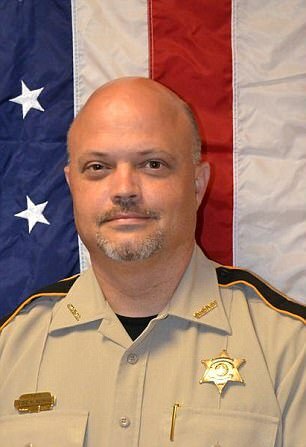 Authorities in Mississippi say a suspect is in custody after eight people were killed in a shooting, including a sheriff's deputy, early Sunday morning. 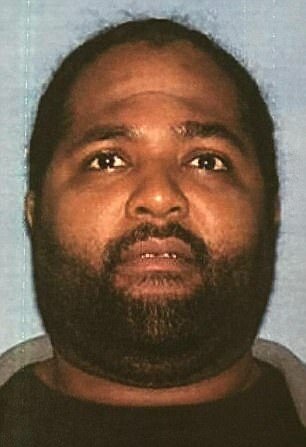 The suspect is Willie Cory Godbolt (above in arrest photo), aged 35. 'Somebody called the officer, people that didn't even live at the house. That's what they do. They intervene. He also said he did not intend for police to capture him alive. 'My intentions was to have God kill me. I ran out of bullets,' he said. The sheriff said that a 16-year-old male is safe after being taken hostage allegdly by Godbolt. Mississippi Bureau of Investigation spokesman, Warren Strain, said the shootings occurred at three separate homes Saturday night in rural Lincoln County. Two of the homes are in Brookhaven and one is in Bogue Chitto. The area is about 68 miles south of Jackson, the capital. Rushing said it appears the deputy responded to a 911 call at Lee Drive of the resident wanting Godbolt removed from the property, The Daily Leader reported. That's when the deputy along with three others were killed allegedly by Godbolt. Rushing said two more people were shot and killed at a resident on Coopertown Road. Strain says charges have not yet been filed against the suspect. Authorities have not released the identities of those killed in the shootings. Investigators were gathering evidence at all three locations. Governor Phil Bryant issued a statement about the shooting and wrote the above Facebook post on Sunday. Governor Phil Bryant issued a statement about the shooting and wrote in a Facebook post: 'I ask all Mississippians to join Deborah and me in praying for those lost in Lincoln County. 'Every day, the men and women who wear the badge make some measure of sacrifice to protect and serve their communities. This is not Godbolt's run in with the law; he has a long criminal history according to his arrest records. He was charged with armed robbery and aggravated assault in 2005 after he allegedly struck a man with a pistol and stole his wallet, cash and jewelry. In 2016, Godbolt was arrested for contempt of Justice Court and simple assault by the Lincoln County Sheriff's Office.